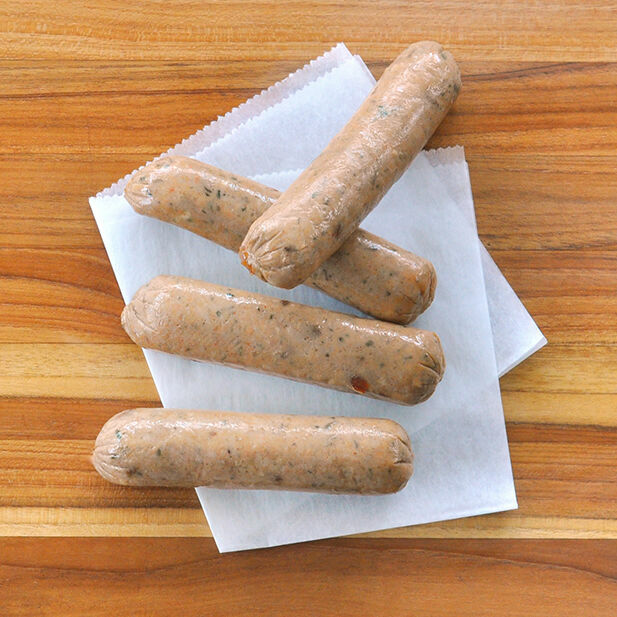 All-natural chicken sausage made from free-range chicken raised without antibiotics or hormones. Fully cooked and ready-to-eat, our sausage has a Mediterranean flavor with a combination of black olives and sun-dried tomatoes - and never any preservatives, nitrates, nitrites, fillers or artificial flavors. Cooking Tips: Our Chicken Sausages are fully cooked. Serve browned or lightly-charred with your favorite condiments and side dishes. Add to recipes like pastas, soups, and casseroles. Make a quick sheet pan meal by tossing sausages with sliced onions, peppers, and olive oil before baking. 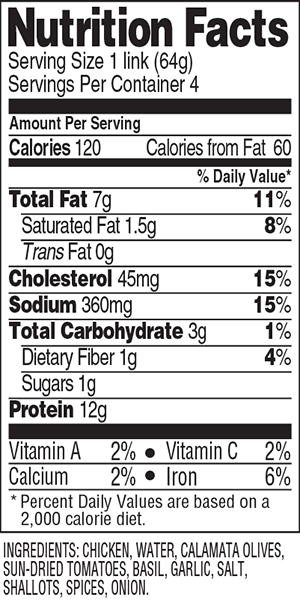 Why Free-Range & Organic Chicken?